Let us show you how to power a tablet with PoE! We found an easter egg in the Airfiber design that allows you to use your multiport midspan! Let us show you how to set up a PoE powered Wifi-Bridge to get data to remote IP devices without pulling cable! 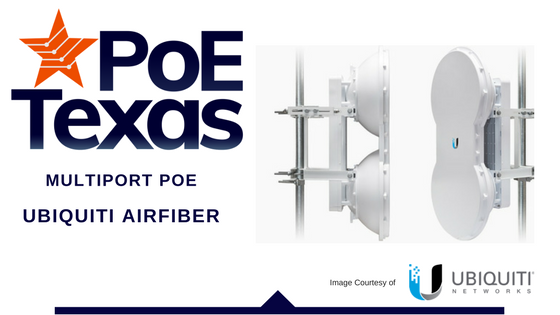 If you're new to Power Over Ethernet, come on it to learn some of the basics of PoE. Need power and data to your table through your PoE switch? Let us show you? Need power and data to your iPad through your PoE Switch? Let us show you how!